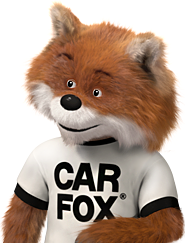 This CARFAX Vehicle History Report is based only on information supplied to CARFAX and available as of 11/4/18 at 11:01:40 AM (CST). Other information about this vehicle, including problems, may not have been reported to CARFAX. Use this report as one important tool, along with a vehicle inspection and test drive, to make a better decision about your next used car. Check with an authorized Tesla dealer for any open recalls. Make sure you buy this car from a licensed dealership or you may be a victim of curbstoning, which is illegal. A curbstoner poses as a private seller to sell vehicles for a large profit. Not cool!